I still cannot believe February is almost over. I’ve rounded up a little of what we have been up to and what I’ve been loving this month. I combined all the ingredients and cooked them on the stovetop. They were soft enough for my son to eat and plain enough for Dea to enjoy. Adding a dinner option to our menu is always a huge thing for this mama. 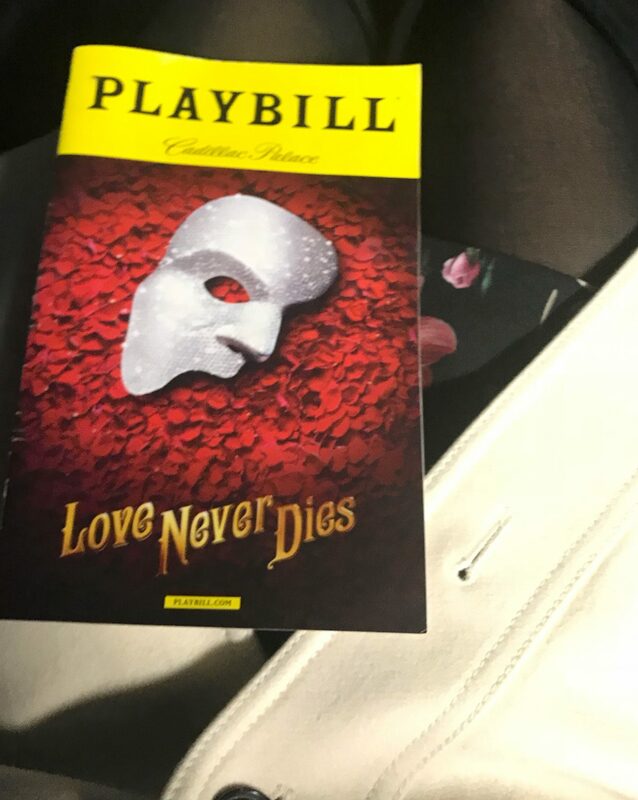 Definitely the outfit I wore to ‘Love Never Dies’. I absolutely loved this dress. 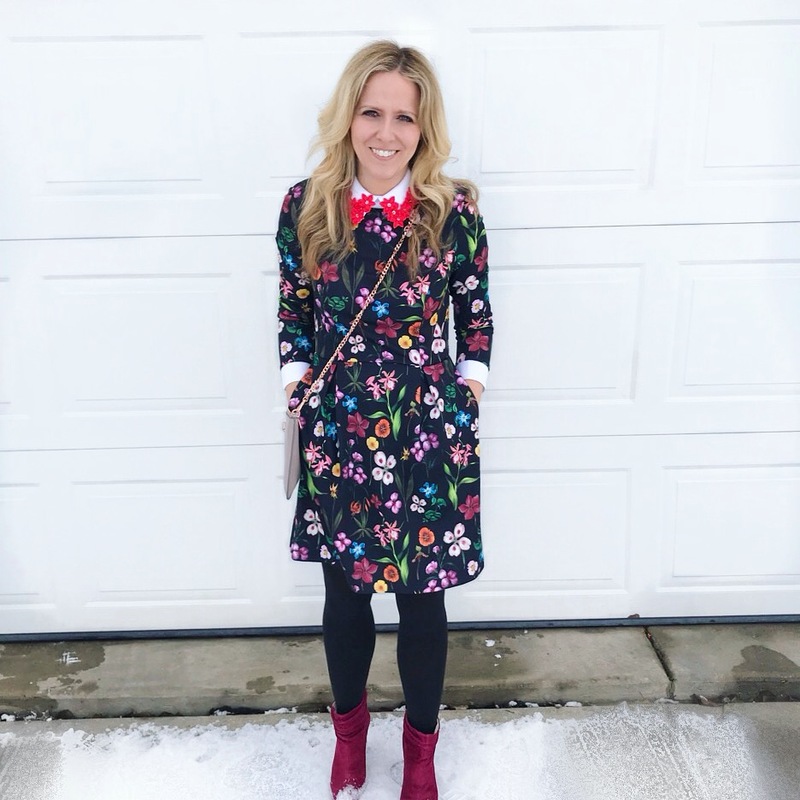 At first I thought it was a little much with all the colors, but I love a good collared neck dress so I was in love with it. We have an area of our basement that is tiled so I slowly converting that are to an ‘art’ room for my daughter (and son when he is old enough). I really wanted to organize all of her crafts, stickers, and other art supplies so I purchased this. My daughter is slowly helping me put all of her things in the cute colorful drawers during her brother’s nap time. 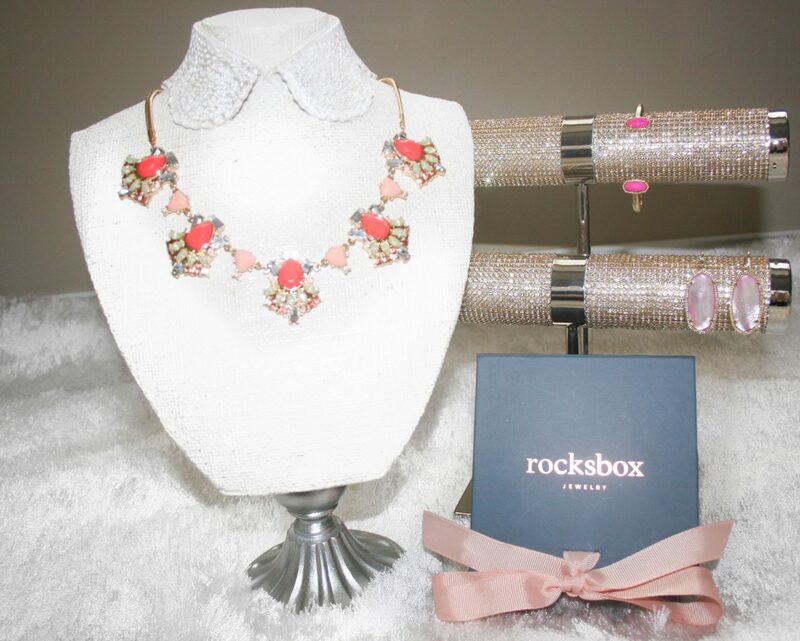 I recently partnered with ‘Rocksbox’ Subscription box and I absolutely love it! I have been wanting to try this subscription for awhile because who doesn’t want to ‘rent’ new jewelry each month. I love so many pieces they offer and get excited to update my monthly wish list. You can get a month free using code ‘tricestakexoxo’. I’m loving this lip scrub from Dior. My lips are alway dry so this is the perfect way to moisturize but still have some color while exfoliating! I’m all about multitasking. I don’t drink much anymore with two kids. I’m also in the middle of dieting to lose the baby weight, so drinking has become a low priority. I love pinot noir, but it just A) makes me tired or B) gives me a headache. So, I’m usually finding creative ways to get my water intake in. This month my drink of choice has been the ‘Island Colata’ sparkling water from Trader Joe’s. It kind of makes me feel like I’m on a tropical island relaxing…for about 2 seconds before one of my children start screaming for me. This little nightlight/musical toy has saved me from nights of no sleep. I recently bought it at target and my son loves it. If he wakes up in the middle of the night, he just puts it on and goes back to sleep. I cannot talk this toy up enough. And, it’s soft so it can go in the crib without fear that my son will hurt himself. The one thing I am going to buy new moms. As simple as it sounds this month was all about taking walks with the kids. As soon as the weather warmed up a bit, we were outside. My daughter was on her bike and my son was in the stroller. In the winter you forget how much physical activity just make you feel better and calmer. We went on our daily walk today and I am going to miss it tomorrow when the temperatures drop and it rains. However, I decided to dust off my treadmill and continue my walks in the house till Spring finally arrives. I also purchased my daughter this Smart Cycle so she doesn’t feel sad about not riding her bike. Also, it’s a little more physical activity for both of us! **This post contains affiliate links. I do receive a small commission by you clicking and/or purchasing through the links. 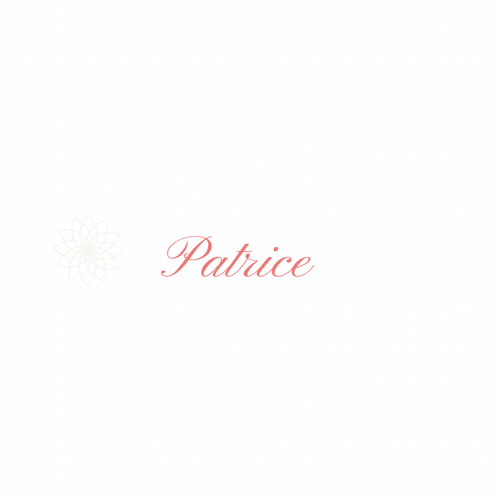 Thank you as always for your support! Hope you enjoyed my favorites for February!